Everything you need to know about what's hot and what's not! ARF Benefit with Brooke Shields in the Hamptons! If we wanted to bring together animal lovers to help raise money for a great cause who would be the perfect host? Let’s start with Brooke Shields as our Emcee for an Evening of Dinner and Dancing in the Hamptons…Next we need someone worth to honor… I’ve got it…this years Bow Wow Meow Ball will honor internationally acclaimed architect Peter Marino for his unwavering commitment to animal welfare and the Animal Rescue Fund of the Hamptons. A longtime supporter of ARF, Marino, also known for his knowledge and status as a collector, and for his impact on contemporary and twentieth century design, founded his eponymous architecture, planning and design studio in New York in 1978. Alongside his work with private clients, Marino has redefined luxury in the retail space, creating store environments around the world for brands such as Chanel, Dior, Louis Vuitton, Bulgari, Ermenegildo Zegna, Fendi, Graff, Guerlain and Hublot, often commissioning site-specific works of art for many of them. Pick Saturday, August 15th for this grand event with over 400 high profile guests from New York and the Hamptons expected to attend this magical night. Of course All proceeds will benefit ARF, the leading animal adoption center on the East End of Long Island. The evening will also include a live auction with Auctioneer Benjamin Doller, a Vice Chairman of Sotheby’s, a silent auction and an online auction with charitybuzz.com. Experiences and packages include a golf lesson at the exclusive Maidstone Golf Club, 2 nights deluxe accommodations and breakfast for 2 at The Ritz Carlton, St. Thomas, and New York Knicks Game Experience which includes 2 tickets, gift bags, and meet and greet with Knicks Legends and a viewing of the “closed to the public” pre-game warm up on the court. Bidders will have the chance to make offers online from August 5 – August 26 by visiting http://www.charitybuzz.com/support/arfhamptons. Be warned after a cocktail or two you might just be inclinded to adopt one of special select group of ARF cats and dogs that are currently available for adoption. The Bow Wow Meow Ball event is an important evening as it raises funds that are vital to the organization and its mission and “its going to be a fantastic party” “bring together our supporters and help raise funds for ARF while having fun” said Lisa McCarthy, Board President of ARF. Sounds like a purrfect nite! The exclusive women’s shoe store will open in fall 2016 around the corner from the current women’s only store in Greenwich, Connecticut – which will no longer stock footwear, but concentrate on apparel, beauty and accessories. By David Moin. Source: WWD. At Saks Fifth Avenue, there’s no business like the shoe business. The first freestanding Saks Fifth Avenue shoe store — modeled after the 10022-Shoe department, which is at the Manhattan flagship and replicated in 19 other Saks locations — will open in Greenwich, Conn., in fall 2016, WWD has learned. The 14,000-square-foot Greenwich site, at 20 East Elm Street and around the block from the existing Saks Fifth Avenue women’s-only store on Greenwich Avenue, will include around 11,000 square feet for selling and 3,000 square feet for storage. The as-yet-to-be-named Saks shoe store will offer only women’s shoes; the existing Greenwich unit will sell just women’s apparel, accessories and beauty and will no longer stock women’s shoes. “We stand for footwear. 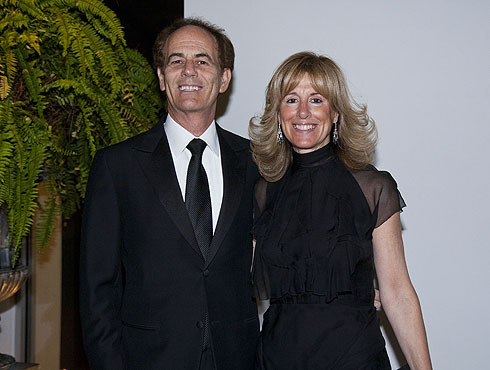 We are dominant in the business,” Marc Metrick, the president of Saks Fifth Avenue, said in an interview. “This gives us the opportunity from a space standpoint to make the assortment a lot more powerful.” He said it was too soon to discuss the vendor lineup. “This is not just a shoe story,” Metrick added. “Greenwich is a very strong market for Saks. This is going to unlock an underexploited volume opportunity in ready-to-wear,” at the existing Saks store in Greenwich, since about 4,000 square feet of space will be freed up for more ready-to-wear by relocating shoes to the new store. Urban Outfitters previously occupied the site that Saks is taking. Though Metrick and his team continue to work to come up with a name for the shoe store, “the concept will certainly be 10022-Shoe,” he said. “It will feel like a grand version of what you see in our stores.” The environment will feel “open, fun and interactive,” and furnished with seating to encourage socializing and easily noticing what styles shoppers are selecting. In 2007, Saks one-upped the competition by unveiling its 10022-Shoe concept on the eighth level of its Manhattan flagship, doubling the number of shoes and beefing up the big brands like Prada and Gucci while providing room for niche brands. Among Manhattan’s major stores, Saks has become a favored destination for designer shoes. It’s a highly productive department at the store, said to be surpassed only by the main floor for beauty and accessories. The 10022-Shoe format is credited with triggering Manhattan’s “shoe wars” in which Saks, Bergdorf Goodman, Macy’s, Barneys New York and Bloomingdale’s have each tried to outdo the other, by opening bigger shoe floors with larger assortments and greater amenities. Saks, for example, converted one elevator to an express lift right to the eighth floor. Saks also added technology so associates could find a size or style not available at the flagship at another store in the luxury chain. There’s a VIP room for private shopping with a dressing room where items from all over the store can be tried on and shoe runners grab pairs from storage. Plus, there’s a shoe-repair service. The 10022-Shoe format involves a commitment to a defined number of core brands with a combination of depth and breadth of product, a flow of new brands, and furnishings, such as large settees, for comfort, socializing and checking out what people are trying on. In a clever marketing ploy, Saks and its marketing team got the U.S. Postal Service to assign the shoe floor its own zip code. The shoe floor at the Saks flagship further benefits from being adjacent to the popular Café SFA cafe. Years after 10022-Shoe debuted, Macy’s unveiled its own shoe floor, with greater space than Saks and well-defined departments for different types of shoes, from evening heels to ath-leisure to clearance. Barneys also cobbled together a new shoe floor integrating women’s and men’s styles. Battling back against the mounting competition, 10022-Shoe at the Saks flagship five years after its debut expanded from its original 22,000 square feet to 32,150 square feet, with 16,650 square feet for selling and 15,500 square feet for storage. The expansion brought the entire women’s shoe assortment together — designer; wear, which is bridge; contemporary; day, and evening — with contemporary shoes relocating from five to a designated area on eight east of the escalators where gifts were housed. Key brands on the 10022-Shoe floor have included Jimmy Choo, Alexandre Birman, Nicholas Kirkwood, Yves Saint Laurent, Prada, Giuseppe Zanotti, Brian Atwood, Valentino, Alexander McQueen, Fendi, Gucci, Roger Vivier, Salvatore Ferragamo, Chloé and Tod’s. Metrick said developing a shoe store doesn’t imply creating additional specialty formats in the future. “I don’t see us doing this with other categories,” he said. “This offers us a unique opportunity.” Saks does have a few men’s-only stores, including units in San Francisco and Los Angeles. The shoe format could be cloned. “We are definitely looking at [Greenwich] as a learning experience. I do believe this will not be our only one,” Metrick said. Tired of hearing Honey do this Honey do that.... check out the Honey Harvest! Each summer, beekeepers across the nation harvest honeycomb from their hives and spin the comb so they can bottle and sell the sweet treat. How do they do it? 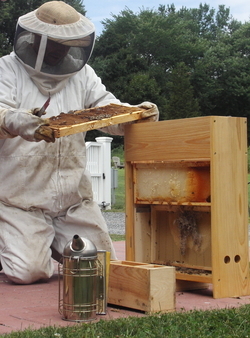 Come see when local beekeepers from the Backyard Beekeepers Association share their secrets. Stop in between 11 AM and 4 PM to see, to help and to taste! Honey and related products will be sold on-site but supplies are limited. All ages & no RSVP required. Audubon Members: FREE! Non-members pay only the regular admission: $3/adult or $1.50/child or Senior. Agriculture depends greatly on the honeybee for pollination. Honeybees account for 80% of all insect pollination. Without such pollination, we would see a significant decrease in the yield of fruits and vegetables. Bees collect 66 lbs of pollen per year, per hive. Pollen is the male germ cells produced by all flowering plants for fertilization and plant embryo formation. The Honeybee uses pollen as a food. Pollen is one of the richest and purest natural foods, consisting of up to 35% protein, 10% sugars, carbohydrates, enzymes, minerals, and vitamins A (carotenes), B1 (thiamin), B2 (riboflavin), B3 (nicotinic acid), B5 (panothenic acid), C (ascorbic acid), H (biotin), and R (rutine). Honey is used by the bees for food all year round. There are many types, colors and flavors of honey, depending upon its nectar source. The bees make honey from the nectar they collect from flowering trees and plants. Honey is an easily digestible, pure food. Honey is hydroscopic and has antibacterial qualities. Eating local honey can fend off allergies. Secreted from glands, beeswax is used by the honeybee to build honey comb. It is used by humans in drugs, cosmetics, artists' materials, furniture polish and candles. Collected by honeybees from trees, the sticky resin is mixed with wax to make a sticky glue. The bees use this to seal cracks and repair their hive. It is used by humans as a health aid, and as the basis for fine wood varnishes. The powerful, milky substance that turns an ordinary bee into a Queen Bee. It is made of digested pollen and honey or nectar mixed with a chemical secreted from a gland in a nursing bee's head. It commands premium prices rivaling imported caviar, and is used by some as a dietary supplement and fertility stimulant. It is loaded with all of the B vitamins. 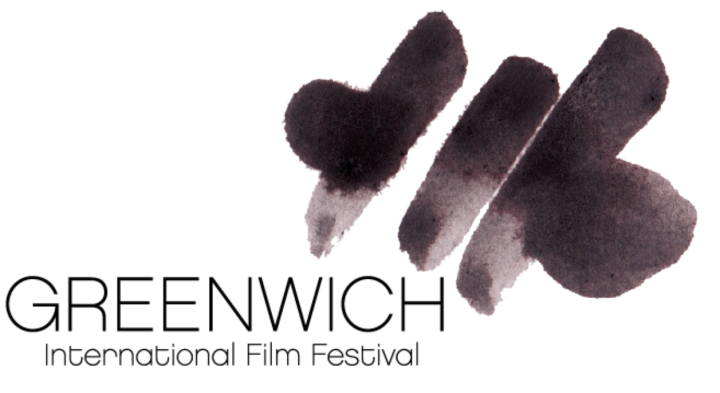 Greenwich International Film Festival (GIFF) is a non-profit organization that will launch a world-class film festival in Greenwich, CT, June 4th to 7th, 2015. It was founded to bridge the worlds of film, finance, and philanthropy. The Festival’s mission is to provide filmmakers with the opportunity to showcase their work with the goal of finding financing and distribution. Additionally, GIFF will harness the power of film to serve the greater good by supporting the U.S. Fund for UNICEF with proceeds from the Festival. The four-day Festival will feature 25+ carefully-curated films, an opening night party, panels, receptions, and an honoree gala. The Festival, and its supporting events throughout the year, will help to create a burgeoning visual arts community in Greenwich and beyond. Looking for the coolest spot in town to catch a movie, we sent our secret social agents out to check out the Prospector Theater in Ridgefield, where HamletHub is a sponsor. They opened a few months ago back in November 2014. The building is super large, i.e. spacious with tons of natural light. 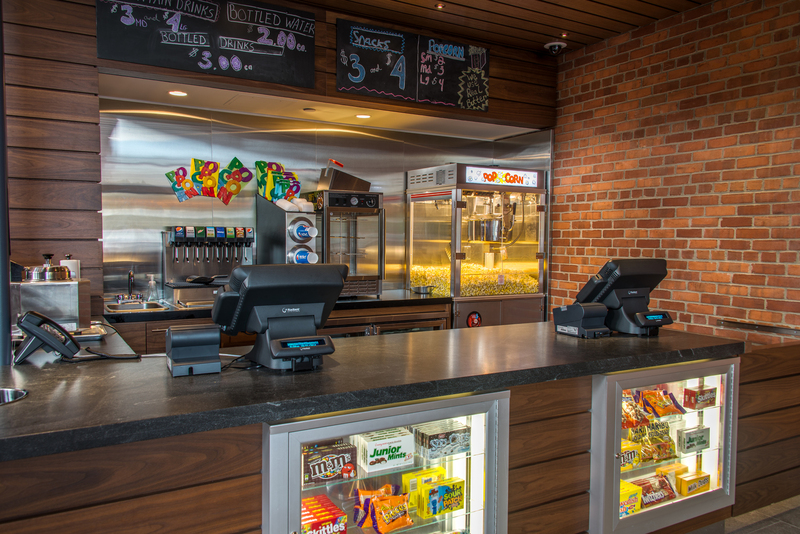 It has a licensed 'Star Bar', 'Heads Up Cafe' - where several kinds of fresh and naturally flavored popcorn are made daily, and four state-of-the art movie theaters. The interior is cool, with dramatic artwork, sparkling wallpaper and a running theme of shocking pink all over. What makes the place even better is that the Prospector Theater is a non-profit theater, providing meaningful employment for adults with disabilities. The Founder, Valerie Jensen, whose fuchsia pink hair is testament to her passion and dedication. She mentioned that 80% of adults with disabilities were unemployed and that shocking statistic had made it her mission to change this. The theater not only employs people with disabilities but also caters for visitors with special needs. The attention to detail is absolutely staggering - a colorful mosaic wall is so much more, having been created by a local Ridgefield artist to provide stimulation for people with autism. The seating has been carefully considered, so an able bodied person can sit next to their friend of family in a wheelchair. The largest theater has 162 seats, and the smallest only 16 seats – ideal for people with sensory issues, who may not be able to enjoy a movie in the larger theaters. The theater have closed-captioning glasses, which provide subtitles and high-quality headphones, which stream dialogue and provide descriptions of scenery, environment, etc. Every single item in the theater has been carefully considered, with positive messages running throughout. A striking chandelier, created by Philadelphia artist Warren Muller is made from re-purposed materials, using what some would consider to be "junk". His artwork, reenforces the strong ethos of the theater - don't automatically disregard something and instead see its potential. On the theaters website it says: "When people are offered meaningful employment and are recognized for their abilities and talents, they shine just like the pieces of our chandelier." The pink sparkling wallpaper encourages people to "sparkle, shine and turn their passions into professions". Greenwich Back Country Market Report! 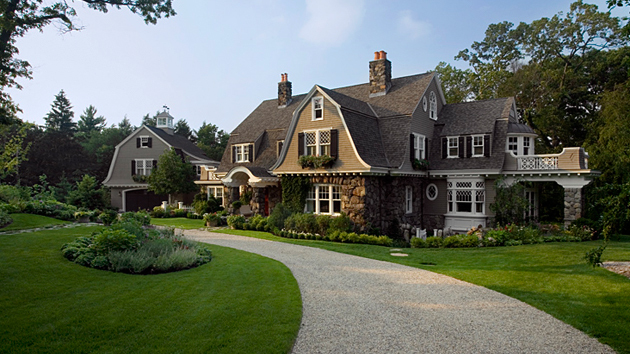 2013 was a strong sellers market in the Greenwich back-country but this year homeowners are seeing the number of sales decline, more homes hitting the market, and houses have been sitting on the market (days on market) for a longer period of time. What are the official numbers from Real Living Five Corners? Days on Market an average of 295 days which is up from 2013 where we saw an average of approximately 200 days. According to local agents buyers are expecting a lot more from homes in the back country because there is a large inventory to chose from. We have 150 homes on the market currently which compares to only 120 last year. It is a conundrum because the strength of last year added to more homeowners listing their own homes this year, said Jonathan Lerner, Broker/Owner of Five Corners Properties. Still the numbers are excellent with over 60 homes sold in 2013 which was up 50% from 2012 and significantly stronger than the housing bubble burst back in 2007/2008. 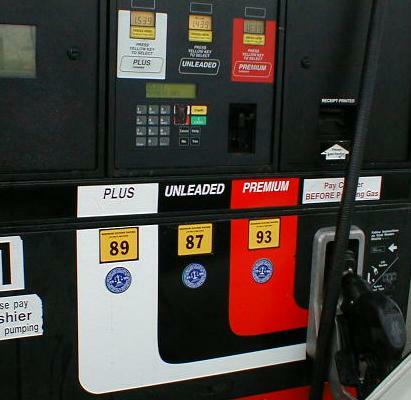 Who has the lowest priced Gas in Greenwich? How does your gas station compare? Regular Gas Prices…. Here is what we discovered! House hunting in Greenwich? There are 37 open houses this weekend. President Barack Obama will be heading back to the area for a fundraiser, The event in Greenwich, CT., is set for Tuesday Oct. 7 at the Conyers Farm estate of Richard and Ellen Schapps Richman, who hosted Obama at a 2010 fundraiser. Obama is likely to fly into Westchester Airport in White Plains for this latest visit to the area. It's become a familiar landing spot for the president, who most recently attended fundraisers in New Rochelle and Purchase and a wedding in Mount Pleasant over Labor Day weekend. The $10,000-per-person fundraiser this fall is for the Democratic Senatorial Campaign Committee. Connecticut does not have a Senate campaign this year. The top race in the statewide is a tight gubernatorial rematch between Democratic incumbent Dannel Malloy and Republican challenger. What started out as a hobby of making homemade pies to bring to dinner parties as hostess gifts in lieu of the traditional bottle of red has turned into a big business here in lower Fairfield County over the past several years. Lulu Morgan has been whipping up scrumptious treats for decades, having learned the sacred art of southern cooking growing up in her hometown of Memphis, TN. "It just kind of happened," Morgan said, as she stood in the kitchen at her antique farmhouse on June Road, near the Greenwich-Stamford border. After friends began tasting her chess pies -- a custard-like pie popular in the South, which Morgan said earned its name when a southern belle's accent was misunderstood after announcing it was "just pie" -- word spread quicker than cream cheeze. 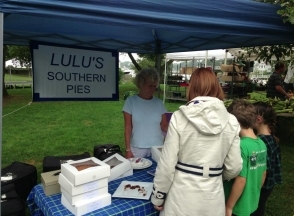 She began selling her pies at a farmers market in the Rowayton section of Norwalk, where she flew a banner that read "Lulu's Southern Pies," and brought along 20 pecan and 20 chess pies each week, only to sell out in a few minutes. "I've been selling these pies like you would not believe," Morgan said. "I've added a key lime pie, which has been very, very successful, and I'm going to add a sweet potato pie and a coconut cream pie." Soon, one farmers market wasn't enough. Now she serves them up for $20 apiece at the Old Greenwich Farmers Market, as well as markets in Fairfield, Newtown and Rowayton. And then there are the stores: Pasta Vera and Greenwich Prime Meats in Greenwich, as well as Village Market in Wilton and Walter Stewart's in New Canaan. These days, she's turning out 200 pies a week. "Last Thanksgiving, I made 500 pies," she said, adding that she's on track to see that kind of demand again this year. The secret, she said, is in the little details and recipe tweaks she has added over the years, like the pecans she sources from a plantation in Alabama. She won't go into more detail on what sets her pies apart than that -- it's a secret recipe, after all. But a forkful of the pecan reveals a comforting kick of chocolate tempered by the nuts, and a crust straight out of grandma's kitchen. They're not quite homemade these days, since health codes dictate that Morgan prepares her desserts in a commercial kitchen. But she's careful to keep that home-style quality, even as her quantities increase. "People have told me that I should go on `Shark Tank,' " Morgan said, referring to the ABC TV show where entrepreneurs pitch their products and businesses to a group of investors. "But I don't need to be that big," she continued. "When you go from everything being homemade by me, like they are now, to becoming too big, you lose that quality, and that's important to me." For now, the 70-year-old grandmother said she's more interested in baking pies that make people smile than turning into a pie-making machine. "At this age, I'm just happy making my pies," she said.